My homage to the Bard on the 400th anniversary (last weekend!) of his death, is a quotation which often comes to mind and is very meaningful to me. Just as certain music is the soundtrack to my life (another post on that to come soon!) also music is the sound track to my writing and often works its way into my novels. In my children’s book, S.C.A.R.S, it’s rap. In Drumbeats it’s (apart from Ghanaian village drums and 1960s pop) the piano pieces which my hero Jim plays for Jess, for example Fauree’s Cantique do Jean Racine and Mozart’s Requiem. And also the LP records he plays her of Mozart’s clarinet concerto in A and of Bach. In my latest, A Shape on the Air, it’s Nella Fantasia, probably made famous by El Divo but played in the novel by mandolins. Maybe music is the food of love, because my heroines have a habit of falling in love with the men who play this music to them. In Drumbeats, Jess loves to watch Jim’s hands and fingers as he plays the piano and it touches her heart. There is something about a man’s hands playing the keys sensitively that stirs her (and me!). In A Shape on the Air, Viv plays the music on her ipod and the Rev Rory has the same on his voicemail. As I write, I always listen to music, usually classical but sometimes the songs I’m learning for Rock Choir. If I’m writing music into my words I always listen to those tracks to inspire and set the scene for me – get me in the mood. Oh, wow – Drumbeats is rising up the ratings today! Many thanks to all of you who downloaded it/bought it/ are reading it! Hope you enjoy it! Many thanks to all who have bought, downloaded, are reading it. If you can do please add a short review on Amazon and or Goodreads – we authors really appreciated reviews! Writing one novel is hard but how do you write a series? This post really had me thinking – and I enjoyed writing it … in anticipation of my Drumbeats trilogy. How am I crafting the series? Have I got a plan for all three books? How do they follow on from each other? How do I remember details through all three books and not make any dreadful errors? Walking in the Rain continues Jess’s story back in England – marriage to the love of her life and an unimaginable situation to face. It’s been tagged as “heart warming”, “the triumph of the human spirit over adversity”. Due out next summer. Before I Die sees Jess struggling to pick up the pieces of her life and make something positive of it, persuaded by her best friend to draw up a “bucket list”. Is a return to Ghana on her to-do list? Tagged as “a feel-good read”. Why did I set Drumbeats in the 1960s? 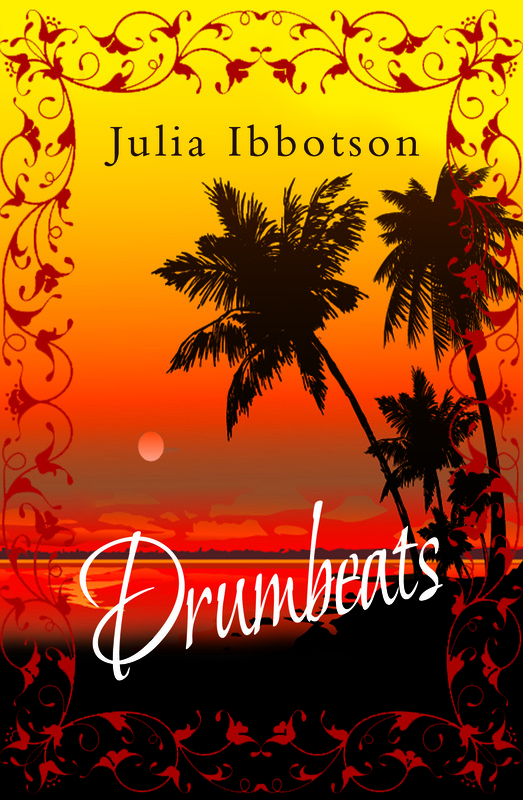 Guest post today – find out why I loved setting my novel Drumbeats in the 1960s. What was it about that time that intrigued me and made me choose 1965-6 as my context for the book? What was happening then? What was Jess’s mind-set? Why was West Africa in turmoil? Another brilliant review today on my book tour! Reading the synopsis for Drumbeats my first thought was that this is not my usual choice of book. However although I have definite preferences when I’m buying, I’m generally pretty eclectic in my taste and can very often be persuaded to step outside my comfort zone and try something completely different. If anything drew me to this novel it had to be the beautiful cover and I do think if I was not doing a professional review it probably would have played a big part in influencing me to buy. 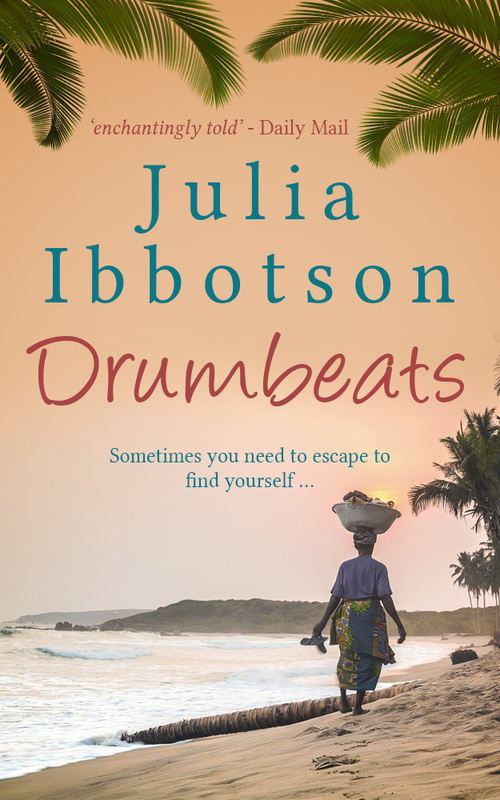 BROOK COTTAGE BOOKS – BLOG TOUR FOR DRUMBEATS 8th – 19th September, 2014.